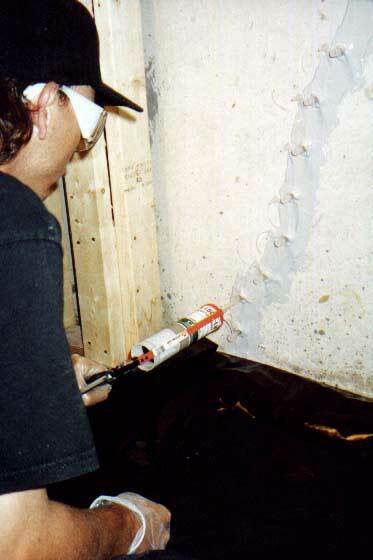 Injection Demonstration With the "Complete Kit"
The foundation crack is cleaned with a wire brush. 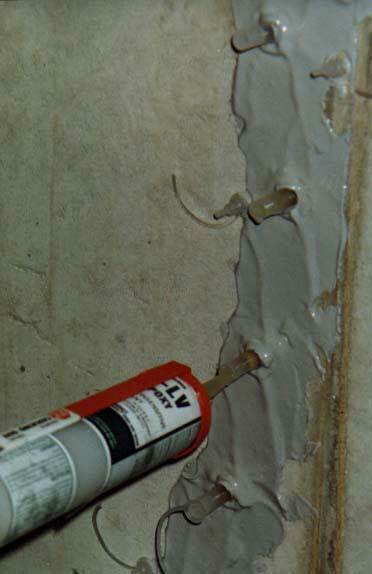 A small amount of surface seal gel epoxy is mixed and used to adhere the ports over the crack. 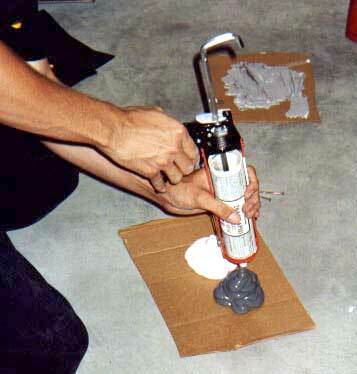 A larger batch of surface sealer is mixed to butter around the ports and seal the crack. 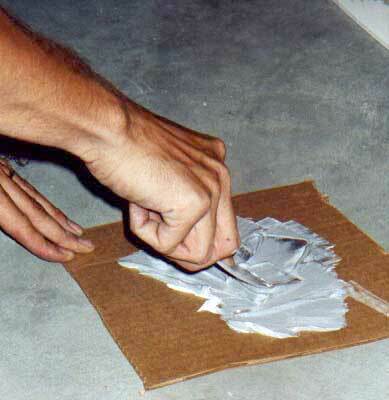 The surface sealer is allowed to cure; average cure time is from 50 - 70 minutes. 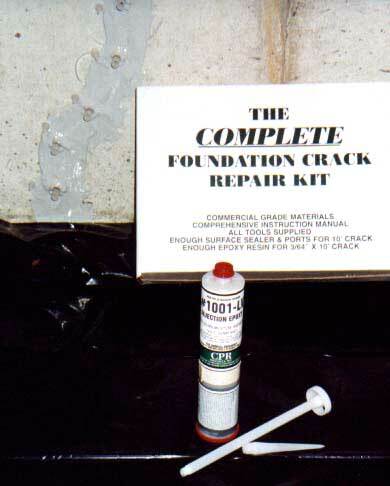 #1001 - LV tech kits contain a very thin, 2:1 ratio injection epoxy. 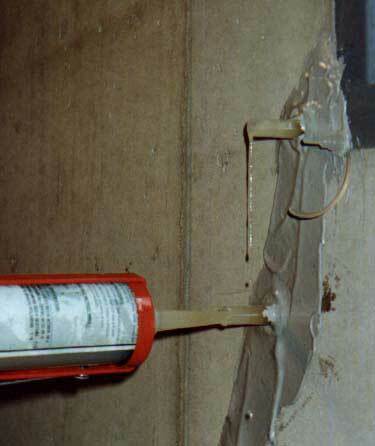 The A&B components are separated by a special foil barrier that can be ruptured, which allows the epoxy to be mixed inside the cartridge. 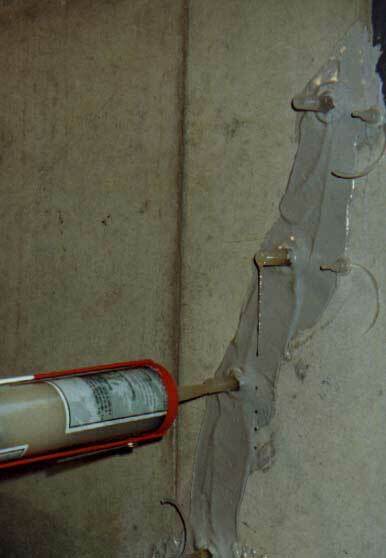 The mixing handle is threaded into the "internal" mixing wheel, the barrier securing tape is removed, the tech kit is squeezed to rupture the foil barrier and the epoxy is then thoroughly mixed using the mixing handle. 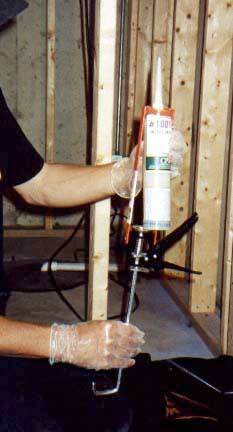 The mixing handle is loosened, then removed and the tapered nozzle is screwed onto the cartridge. 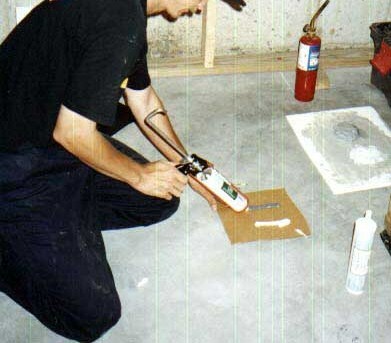 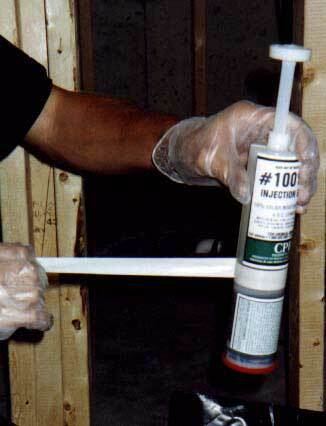 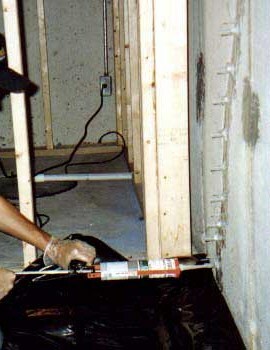 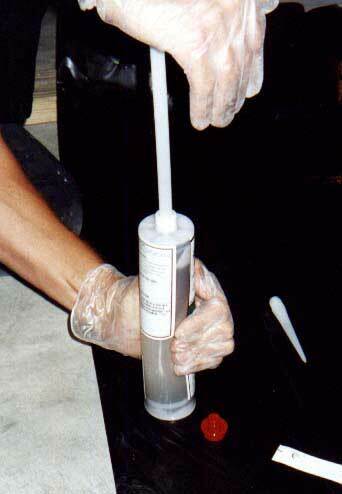 The mixed cartridge is placed in a standard "skeleton" style caulk gun. 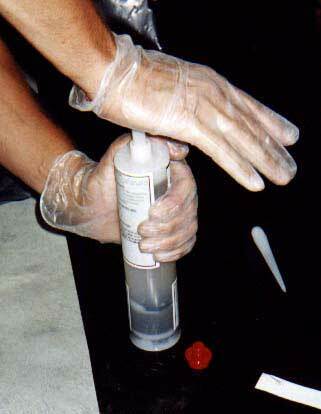 The gun handle is pumped with the nozzel up; until the air in the top of the cartridge and nozzle has been evacuated and resin begins to flow from the nozzle. 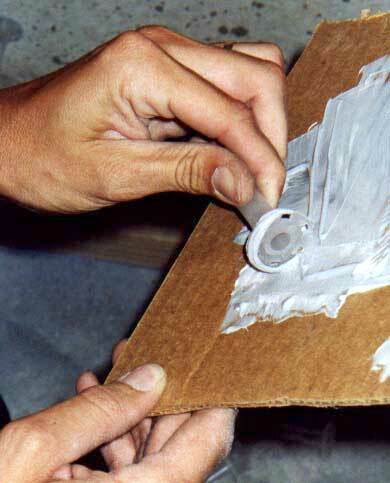 Beginning with the lowest port, Epoxy is slowly pumped into the port until it begins to drip from the next port above. 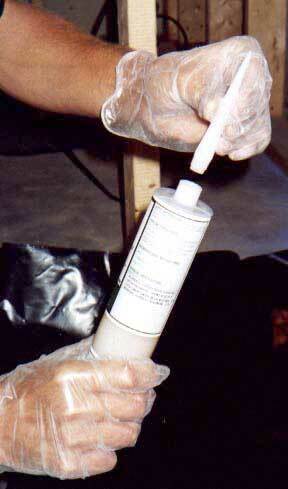 The first port is then plugged and epoxy is injected into the second port until it drips from the third port. 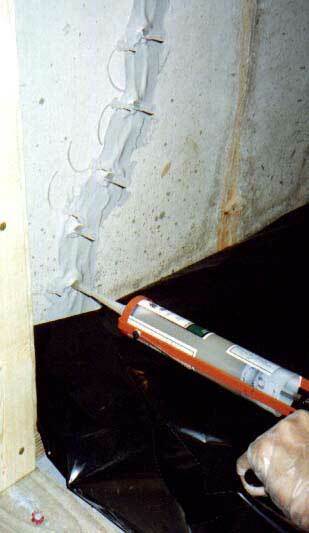 The process is repeated, working up the crack port to port from the bottom to the top. 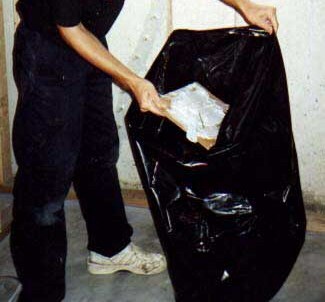 The trash bag/drop cloth is turned inside out and used to dispose of job refuse. 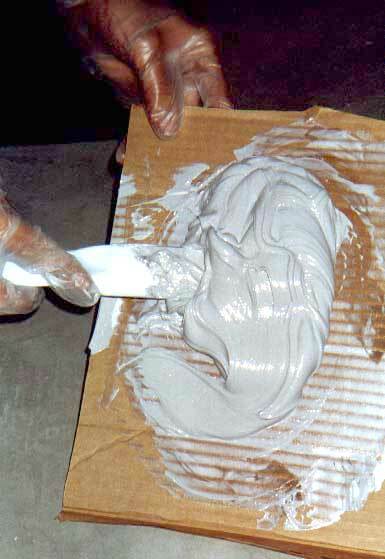 All epoxy material should be mixed, hardened and cooled before being discarded. 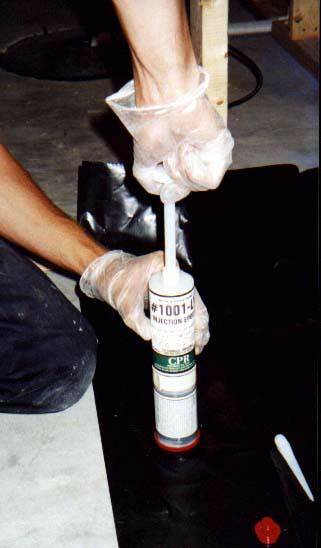 Copyright © 2007 CPR Products, Inc.